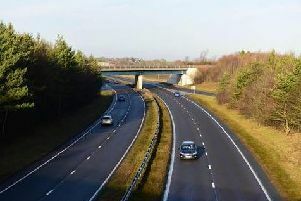 Today marks the start of a roadworks scheme costing more than £1million, aimed at improving safety between the A19 and A179. The major works at Sheraton Junction started at 9.30am today, and are expected to run until spring next year. The scheme will be carried out in a number of phases. Durham County Council is carrying out the works, which will see traffic lights installed to reduce queuing back onto the A19. The speed limit across the junction will also be reduced to 40mph. Phase one, which got underway today, is expected to last four weeks. Work will be carried out between 9.30am and 3pm, with traffic flow monitored to minimise disruption. There will also be traffic restrictions on the northbound and southbound entry slip roads from the A19, with traffic lights on all junctions. The works are expected to last six months. Drivers faced some delays as the scheme started this morning, with some reporting tailbacks of up to half a mile towards Hart Village. There have been a number of serious accidents at the roadworks site in recent years, and the junction is one of a number of traffic hotspots across the country identified by Highways England for junction upgrades, roundabout improvements or better traffic signalling. Ahead of the scheme's start, they said: "This work which is being carried out by Durham County Council on our behalf will improve journey times, reduce congestion and improve safety. Roadworks at Sheraton Junction have started today.